A high criminal court in the Turkish capital of Ankara has handed down a jail sentence of 18 years to Alaaddin Duman, a teacher who was extradited from Malaysia to Turkey due to his links to the Gülen group in 2016, on terror charges. Duman was given the jail sentence by the Ankara 15th High Criminal Court on Tuesday on charges of membership in a terrorist organization. In the final hearing of his trial, Duman denied the terror charges and said he was self-employed in Malaysia and did not use the mobile phone application ByLock, which Turkish authorities say is the top communication tool among followers of the Gülen group. The Turkish government accuses the Gülen movement of masterminding a failed coup attempt on July 15, 2016. The movement denies any involvement in the failed putsch. “I did nothing illegal. I am innocent,” said Duman. The court did not reduce the 18-year jail sentence on the grounds that he did not show any signs of remorse. The indictment says Duman went to Uzbekistan after graduating from Marmara University as a physics teacher in 1993 and returned to Turkey in 2011 and then went to Malaysia, where he stayed until his extradition to Turkey on Oct. 15, 2016. 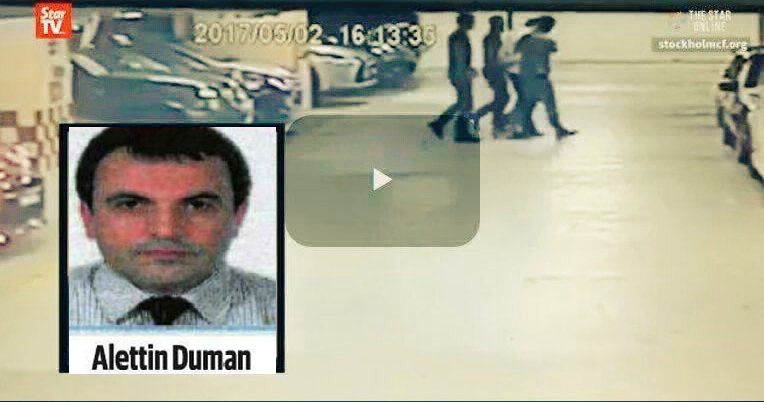 A cellmate of Duman, identified only by his initials S.T., who was recently released from jail, told journalist Fatih Akalan during a video interview on March 31 that Duman was subjected to beating, torture and death threats while in pretrial detention in Ankara. S.T. called on foreign governments to avoid sending Gülen followers to Turkey, where they will face similar treatment. In late March, Kosovo police arrested six Turks who used to work at a group of schools affiliated with the Gülen movement and handed them over to the Turkish intelligence agency. More than 150,000 people have been detained and 60,000 arrested over alleged Gülen links in Turkey since the summer of 2016. Meanwhile, Erdoğan called on foreign governments to punish movement sympathizers. So far, a number of countries including Saudi Arabia, Malaysia, Georgia, Gabon and Myanmar have handed over academics, businessmen and school principals at the Turkish government’s request despite the fact that some of those victims already had refugee status with the United Nations.